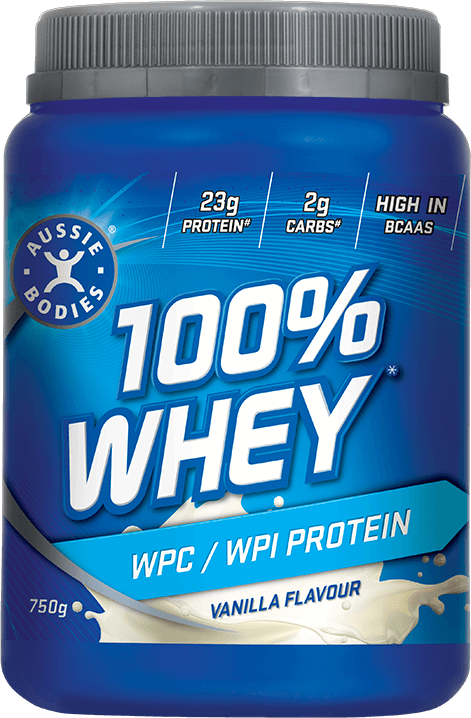 Aussie Bodies® 100% Whey is your ultimate protein source. Formulated with a blend of Whey Protein Concentrate and Whey Protein Isolate this formulation provides you with the protein you need to achieve your fitness goals, supporting muscle maintenance and growth. Ingredients: Aussie Bodies Protein Blend 97% (Whey protein concentrate, Whey protein isolate, Sunflower lecithin, Soy lecithin), Flavours, Vegetable gum (412), Anticaking agent (551), Sweeteners (955, 950).